Modern banking system plays an important role for a nation’s economic development. Over the last few years the banking world has been undergoing a lot of changes due to deregulation, technological innovations, globalization, environmental situation etc. These changes also made revolutionary changes of a country’s economy as well as our economic development. Present world is changing rapidly to face the challenge of competitive free market economy. It is well recognized that there is an urgent need for better-qualified management and better-trained staff in the dynamic global financial market. Bangladesh is no exceptions of this trend. Banking Sector in Bangladesh is facing challenges from different requirements though its prospect is bright in the future. Human beings become human resources when their skills and abilities are developed to undertake some productive activities which are useful to them and their society. In an organization, administrative or managerial development occurs through training, education and development of the personnel. The need for effective human resources management is seen vastly in large organizations. National Bank Ltd follows a very effective Human Resources Policy which is mostly reliable in case of recruiting, training, developing, motivating, and retaining good employees. The Bank has a Human Resource Development & Research Department to develop human resources internally. The Academy is equipped with professional library, modern training aids professional faculty and other facility. It is now under Personnel & Human Resource Development & Research Division. This paper is titled “Analyzing the Recruitment and Selection Process of National Bank Limited” originated from the fulfilment of the BBA program. For the internship program, each student is attached with an organization. 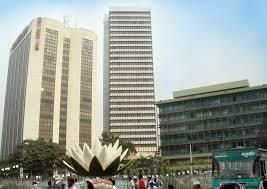 My internship was at The National Bank Ltd., Asad Gate Branch, and Dhaka. This report is a Completion of requirement of the internship program which is an important part of the BBA degree requirement. Before the degree, a student must undergo the internship program. Internship program is a perfect blend of the theoretical and practical knowledge. As the supervisor has advised me to develop a thorough understanding of the recruitment and selection processes of National Bank Limited (NBL) Asad Gate Branch I was assigned in the General Banking, credit Division, Foreign Exchange Division and HR practices of NBL. Under the guidance of Nazneen Fatema to meet the requirement of the internship program of BBA. I tried my best to get as much information as possible and complete this report in due time. This is the most essential part of BBA program. This is prepared as the final term paper of the degree. A report must have some objectives. In this internee report has also some specific objectives. These objectives are divided into two parts. To identify the Recruitment and Selection process of the National Bank Ltd.
To explore the recruitment and selection criteria of the National Bank Ltd.
To identify the recruitment and selection steps of the National Bank Ltd.
To know about the interview methods and tests of Bank Ltd.
To get knowledge, bank, customer, environment etc. Methodology includes direct observation ,face to face discussion with employees of different departments ,study of files , circulars ,etc .and practical work .To conduct the overall study, at first I explored the sources of Primary and Secondary information and data. And other information has been collected from the web site of the NBL .After collecting this information; I have prepared the report, which provides the detail information of Human Resource practices of NBL. Direct conversation with the clients or customers. Annual report of National Bank ltd.
Banking sector is one of the strongest economic sectors in our country. Banks provide necessary funds for executing various programs underway in the process of economic development. They collect savings of large masses of people scattered throughout the country, which in the absence of banks would have remained idle and unproductive. These scattered amounts are collected, pooled together and made available to commerce and industry for meeting the requirements. Economy of Bangladesh is in the group of world’s most undeveloped economies. One of the reasons may be its undeveloped banking system. Government as well as different international organizations have also identified that undeveloped banking system causes some obstacles to the process of economic development. So, one county must be efficient in banking if it wants to be developed. My study on the bank has created an edge on my professional learning. So, the importance of my study on Recruitment and selection process of NBL is beyond description. The presentation of the organizational structure and policy of NBL Human Resource Development are considered as the scope of this report. Human Resource Department is most confidential department for any organization as well as Human Resource Division in NBL. Here as an intern I am allowed to get limited information for my study .I am not allowed to get the information which is too much confidential for the organization .So in my report all the information that I give that I am allowed to take the information and I have learnt my work. The main objectives of my short time practical learning were basically to get introduced with related laws, principles, documentations, procedures and practical knowledge regarding Export and Import business of Bangladesh. Since it was a very short period of time, I was not able to collect more data to acquire deep understanding. To get a total view of the banking function in three months is very short time. Supply of more practical and contemporary data is another shortcoming. The study was not done very successfully due to inexperience. I entered in their web site in the HR related information and it was very limited .So I took face –to-face interview of different employees of NBL, Asad Gate Branch. In the age of globalization, the importance of banking sector is beyond description. Banking sector is going ahead with the improvement of new technological innovation. Introduction of modern technology has made banking sector user friendly and more competitive. The banks of Bangladesh are not lagging behind in this regard. As a first generation bank, National Bank limited is competing with other government and non-government banks. Banks need sufficient tools and techniques to perform its banking activities. Department of Finance, International Islamic University Chittagong, (Dhaka campus) is innovatively providing the business sense, skills and expertise in regard to human resources to perform the business job including banking activities. As a mandatory part of the BBA Program, all the students of the faculty of Business Studies, International Islamic University Chittagong have to undergo a three month long internship program with an objective of gaining practical knowledge about current business world. Recruitment and selection process is an important issue in modern day business which is conducted by banks and other HRD department. So, I am lucky that I have been assigned with the HRD department to work in and I decided to prepare a report on “Recruitment and selection process” of National Bank Limited. The internship program on a bank like NBL has certainly improved my professional learning. The preparation of the report has strengthened my analytical ability. National Bank Limited has its prosperous past, glorious present, prospective future and under processing projects and activities. Established as the first private sector Bank fully owned by Bangladeshi entrepreneurs, NBL has been flourishing as the largest private sector bank with the passage of time after facing many stress and strain. The member of the board of directors is creative businessman and international economist. For rendering all modern services, NBL, as a financial institution automated all its branches with computer network in accordance with the competitive commercial demand of time. The emergence of National Bank Limited in the private sector is an important event in the banking area of Bangladesh. When the nation was in the grip of severe recession, Govt. took the farsighted decision to allow in the private sector to revive the economy of the country. Several dynamic entrepreneurs came forward for establishing a bank with a motto to revitalize the economy of the country. The President of the People’s Republic of Bangladesh Justice Ahsanuddin Chowdhury inaugurated the bank formally on March 28, 1983 but the first branch at 48, Dilkusha Commercial Area, Dhaka started functioning on March 23, 1983. The 2nd Branch was opened on 11th May 1983 at Khatungonj, Chittagong. At present NBL is extending its service to people through total 167 branches and 15 SME/Agri branches all over the country. A representative office was established in Yangon, Myanmar in October, 1996 by the bank and obtained permission from the government of Bangladesh to handle border trade with Myanmar opportunities is being explored for further business avenues there. Now NBL is on line to establish trade and communication with the prime international banking companies of the world. As a result NBL will be able to build a strong root in international banking horizon. It has been drawing arrangement with well conversant money transfer service agency “Western union”. It has full time arrangement for speedy transfer of money all over the world. A team of highly qualified and experiment professional headed by the managing Director of the bank who has vast banking experience of operating bank and at the top three is an efficient Board of Directors for making policies. NBL’s core values of 6 key elements. These values bind our people together with an emphasis that our people are essential to everything in the Bank. Become the most caring Bank by providing the most courteous and efficient services to the customer. Providing many financial benefits to the employees and making a employee friendly environment. Our slogan, ‘Your Hometown Bank‘, embodies the spirit of every point in this Mission Statement so that each of us knows our high calling of serving people to the best of our abilities. NBL’s mission is to continue its support for expansion of activities at home and abroad by adding new dimensions to our banking services which have been ongoing in an unabated manner. Alongside, it is also putting highest priority in ensuring transparency, account ability, improved clientele service, as well as our commitment to serve the society through which we want to get closer to the people of all strata. Winning an everlasting seat in the hearts of the people as a caring companion in uplifting the national economic standard through continuous up gradation and diversification of its clientele services in line with national and international requirements is the desired goal it wants to reach. Diminishing returns affect the benefits of planning for extreme cases. To patronize, sponsor and encouraged games and sports, entertainment and other socio-economic activities alongside providing the best services to the client. The First National Bank is a locally owned community bank committed to providing quality, personal, caring service to all the people in the towns and communities that make up our service area. National Bank presented its International Master Card service before any other local bank here. In the meantime it has also introduced Visa and Power Cards (Debit card). National Bank has one of the largest operational networks. They have lot of branches around the country. Now they are not only conducting business in Bangladesh but around many foreign countries like Singapore, Oman, Malaysia, Maldives etc. The principal activities of the bank are banking and related businesses. The banking businesses include taking deposits, extending credit to corporate organizations, retail and small & medium enterprises, trade financing, project financing, international credit card etc. National Bank Limited provides a full range of products and services to its customers. 3) Budget & Monitoring Division. 7) Classified Loan Recovery Division. 10) Information System & Technology Division. 11) Law & Recovery Division. 17) System & Operations Division. In university, students are normally gathering hermitical knowledge. This is the base of doing task, in practical field. But, if a student acquires only theoretical knowledge it will not be enough to start practical job. For that reason he has to gather practical experience from any institution. Therefore, in that case internship program with any organization is essential to understand the practical task. Internship is not only essential for practical experience, but also for the understanding of corporate culture and also to cope with the daylong working environment. Since I have a keen interest in banking operation, so I prefer mercantile bank for internship program. Where I have learned how the bank personnel maintain their daily operation in proper way. I have worked with all the officers and the entire department with sincerely .They has shown their sincerity in teaching .But everybody is not with the same family background, and it is not expectable to get sincere help from every officers. This is also a part of learning in work place. However, bank mainly deals with money for that reason they should be very careful about their specific task. There is a saying that “in banking operation there is no excuse for wrong operation.”So everyone is enough conscious here. To perform this task a systematic and organized process is required. All the officers are responsible for their tasks, and we know that banking job is target oriented job. For that reason every officers are given a target for deposit, which is necessary for yearly bonus and sometime also for promotion. I assist in the account opening procedure. In account opening formalities, there needs some important information. During my internship period any customer wants to open to open an account he/she needs to fill the Account Opening From. I help the customer to fill the form as well as to open the account. I had to give some brief information to the new account holders on how to operation his/her account and give answer regarding customer query. I have started my internship with clearing section. Every day I had to write to write many vouchers & I had to put many clearing particles in the daily register. I learn about Inward Bills for Collection (IBC), Outward Bills for Collection (OBC), Inter Branch General account (IBG/A/C) .Sometimes I was helping the customers to write their Cheques and their deposit vouchers. Cash section demonstrates liquidity strength of a bank .It also sensitive as it deals with liquid money. I had no permission to go to the cash section. But they provided some information about cash. Such as how do they operate the cash section, how to they calculate the money at the end the day. I was in human resource department only 5 days. So it is quite difficult to know about Human resource function. In Human resource department I just open the different file, punch and put different document in the file etc. In lastly I would like to thank all of the well wisher and the employees of RBL. If any kinds of mistake are occurred, take it easy and pardon for that. Once an organization identifies its human resource needs through employment planning, it can begin recruiting candidates for actual or anticipated vacancies. In human Resource management (HRM) cycle as well as in any organization, Recruitment and selection plays an important and vital role in achieving the organizational vision ,mission, goals and objectives . Organizations today consider human resources as the critical resource of the organization. Recruitment and selection is the staffing function in organizations. Candidates for employment and stimulating them to apply for jobs in the organization. Recruitment is the activity that links the employers and the job seekers.  Attract and encourage more and more candidates to apply in the organization.  Create a talent pool of candidates to enable the selection of best candidates for the organization.  Determine present and future requirements of the organization in conjunction with its personnel planning and job analysis activities.  Recruitment is the process which links the employers with the employees.  Increase the pool of job candidates at minimum cost.  Begin identifying and preparing potential job applicants who will be appropriate candidates. According to Snell & Bohlander (2007), every organization has the option of choosing the candidates for its recruitment processes from two kinds of sources: internal and external sources. The sources within the organization itself (like transfer of employees from one department to other, promotions) to fill a position are known as the internal sources of recruitment. Recruitment candidates from all the other sources (like outsourcing agencies etc.) are known as the external sources of the recruitment. Effective human resource planning helps in determining the gaps present in the existing manpower of the organization. It also helps in determining the number of employees to be recruited and what qualification they must possess. The size of the firm is an important factor in recruitment process. If the organization is planning to increase its operations and expand its business, it will think of hiring more personnel, which will handle its operations. Recruitment incur cost to the employer, therefore, organizations try to employ that source of recruitment which will bear a lower cost of recruitment to the organization for each candidate. Organization will employ or think of employing more personnel if it is expanding its operations. Giving the job to potential applicants. Advertising is the shop window that attracts a potential applicant to find out more about the job. It should provide enough information to make the job sound appealing and encourage a potential applicant to take action. Care must be taken not to put too many barriers in the way of application, for example having to prepare a CV could be a barrier to some people applying. Newspaper advertising is the most common form of recruitment; therefore this fact sheet will focus on that process. There is clear evidence that qualified applications are less likely to reply to vaguely worded or ill-defined advertisements, whereas unsuitable applicants are more likely to apply. Prepare an information pack if one is to be sent out. Selection is a process of measurement, decision making, and evaluation. It is the process by which right persons at the right place at the time can be recruited. The goal of a personnel selection system is to bring in to an organization the individuals who will perform well on the job. A good selection system must also be fair to minorities and other protected classes. Evidence –based best practice for three of the most commonly used selection techniques is outlined below. A curriculum vitae (CV)/ resume provides valuable information relating to a person’s professional qualifications and experience. All information in the CV should be verified where appropriate (e.g., asking applicants to explain gaps in employment history). Requesting job applicants to address specific selection criteria (I, e., essential and desirable) can improve the efficiency of reviewing CVs. Structured interviews are recommended. A structured Interview involves asking each candidate the same set of questions and assessing their responses on the basis of pre-determined criteria.Qustions and assessment criteria should be based on accurate, updated job descriptions. Referees are useful for identifying past employment problems and clarifying the accuracy of information presented in an interview or CV. therefore, it is often difficult to differentiate between candidates on the basis of reference checks alone. Who should be involved in the interview? Using two people to conduct the interview is a good idea as they will both take different points from it .Make sure roles of the interviewers are clearly defined. Where possible, the direct manager of the job applicant should be involved. The objective is to pick up the right candidate who would meet the requirements of the job and the organization best. To meet this goal the company obtains and assesses information about the applicants in terms of qualifications, skills, experience etc. Selection involves a series of hurdles or steps. Each one must be successfully cleared before the applicant proceeds to the next. Tests are useful selection tools in that they uncover skills and talents that can’t be detected otherwise. they can be used to predict how well one would perform if hired, why one behave the way one does, what situational factors influence employee productivity etc. tests also provide reliable information that can be put to scientific and statistical analysis. Recruitment refers to the process of attracting, screening, and selecting qualified people for a job at an organization or firm. For some components of the recruitment process, mid-and large –size organization often retain professional recruiters or outsource some of the process to recruitment agencies. Recruiting is the discovering of potential applicants for actual or anticipated organizational vacancies. On recruitment, probationary officer, junior officer (Gen.) and junior officer (cash) will be paid a consolidated remuneration till they are confirmed on completion of probationary / temporary period. After successful completion of probation period a “probationary officer’’ will be confirmed as “officer’ ,a “junior officer(Gen)’’will be confirmed as “ Assistant officer (Gen)’’and an “junior officer (cash)’’ will be confirmed as “Assistant officer(cash)’’. a) Candidate must BBA/MBA/MBM from public universities or some renowned private universities like NSU ,BRAC ,AIUB, IUB ,EWU , etc. b) Candidates must have at least first division or grade equivalent to 3.50 each exam. c) Having qualified the criteria candidates can apply through online, websites: www.nbIbd. Com. d) Preference will be given to computer literate candidates. e) Time is given while is fixed. a) Candidates must BBA/MBA/MBM from public universities or some renowned private universities like NSU, BRAC, AIUB, IUB, EWU etc. a) Candidates have must high qualification, at least master degree. b) Candidates must have at least first division in each exam. c) Candidates have must experience at least 3 years. The managing director will be empowered to make these selections .All the above appointments will be recommended by a committee which will be constituted by him headed by an executive not bellow the rank of executive vice president. The committee may called selection committee (management) . Selection of such staff in the branch level may be made by the zone head with the concurrence of managing director by following the approved procedural guidelines and within the framework of approved organ gram. The final appointment shall be made subject to the approval of the board/committee. Suitability for a job is typically assessed by looking for skills, e.g. communication, typing, and computer skills. Qualifications may be shown through resumes, job applications, interviews, educational or professional experience, the testimony of reference, or in-house testing, such as for software knowledge, typing skills, numeric, and literacy. Other resume screening criteria may include length of service, job titles and length of time at a job. In some countries, employers are legally mandated to provide equal opportunity in hiring. May recruiters and agencies are using an applicant tracking system to perform may of the filtering tasks, along with tools for psychometric testing. Selection is the process of choosing from among candidates within organization or outside, the most suitable person or for future positions. Selection activities typically follow a standard pattern, beginning with an initial screening interview and concluding with the final employment decision. This is the first selection step to join NBL. Candidates either send their CVs in application for a specific vacancy, or they send unsolicited CVs for any suitable position. There is a box in front of the HR division where interested person drop their unsolicited CV. The HR division collects job applications against each job vacancy. In case of newspaper advertisements, the applicants are given at least 3 weeks to apply. After a specific period, each and every job is closed for applying. After short listing of the CV and choosing the suitable candidates, HR division inform the candidate over phone about written test (Entry level) or interview (Mid level). For written tests, the bank issues admit cards through courier services seven to ten days prior to the exam. After completing the stage of background checking and verification, a candidate must be send to the authorized doctor for medical and physical National Bank Limited has their own medical team who check the selected candidates. In medical and physical test, psychological fitness, physical ability, drug testing, stamina etc are checked. After completing every test, doctor gives the medical report to the management and then management take the final decision. Management takes the final decision based on the interview result, medical & physical report, smartness, personality, communication skill of the candidate. It is very difficult for the management to take the final decision because every candidate comes to this stage through a tough comet. Selection of candidates for the entry level officers – probationary officers, junior officers (both Gen.and cash ) shall be made on the basis of written test, mcq, interview. Form the above information we can say that the number of human resource of NBL is day –by –day increased. Here I get last four years human resource information and it is clear that their human resource position is developed. Human resource planning is the stage of an effective recruitment and selection process .It is not only a matter of satisfying the present HR needs of an organization ,but also an activity that influences the shape of the organization’s future. In National Bank limited (NBL)the total recruitment and selection processes mainly maintain by Head office and organized by Human Resource Management of NBL .As internal recruitment ,in case of promotion ,transfer ,separation are happened by this way .As external recruitment they attract not only experience candidate but also fresh graduate. II. The recruitment and selection is quite fair and square. Everyone at the HR Division is honest and impartial which promotes the environment of accountability. III. Internal growth creates an attachment between the employees and the organization. Moreover, internal growth has increased the recruitment and selection efficiency of the HR division, since it has better knowledge about the applicants’ knowledge, skills, abilities and other qualifications. IV. The recruitment and selection process of NBL emphasizes more on who fits the organization, rather than who fits the job. Thus, it has created a unique organizational culture and the whole HR Division has ensured a friendly and caring working environment. The written test is very effective because in written test they use both aptitude test and intelligence test. Through this type of written test they measure the candidate’s ability, intelligence, ability to handle the tough situation, ability to take decision etc. VII A structured interview has a set of standardized questions and an established set of answers against which applicant responses can be rated. It provides a more consistent basis for evaluating job candidates. I. NBL’s HR planning can be made more effective if it is revised more often according to the change in this fast moving industry. II. Statistical measures such as correlation analysis and regression analysis are not applied to predict and analyze the recruitment and selection requirements more precisely. III. Quantitative methods are not practiced in determining utility in recruitment and selection .There is no feedback system established to find out the efficiency of the system and correct its drawbacks. IV. No study is conducted to justify the effectiveness of the recruitment tests. V. Regret letter are not sent to the candidates who are not selected after joining of the finally selected candidates. NBL has equipped its branches will all major IT tools in the industry like ATM’s Fax machine ,photocopies ,printers, Latest computers and good connective architecture. However it has been observed that when it’s time to work, there are many facilities seen in the different device used by NBL. Especially its connectivity architecture and remains office with the main server, the creates problems to the customers. Number of ATM booths is not sufficient. There is no advancement procedures for lower staff members or junior executives that have join recently at NBL. The main problem was observed that the lower staff should be trained about the operations of the bank and also the junior should be given promotions by defining the criteria’s like performance etc. There is no effective training center of NBL Bangladesh. The problem with Training and Development is that it is only available for the high level officer and not for lower staff members. Providing amenities like separate room for prayers because the currently of employees pray in the conference room of the branches .Also separate room should be made for the account department for storing of the vouchers at it is done in the conference room. There is no scheme for employees for National Bank Limited. Like scholarship schemes for employees that want to push higher education .NBL although give a number if incentives to an employees, like personal loans at normal mark-up but they are only provide to employees that are in higher ranks. Education fees are also returned by NBL to its employees after having finished their studies. Skilled manpower (human resources) in the most important tool to develop any organization. As are service – oriented organization, efficient management of human resources is an important aspect. All the computers and other machineries should be well maintained. Sometimes customer service related works were hampered due to technical problem in computers .That’s why, each branch should have skilled technical person. Files and documents must be kept in proper manner. So that, at the time of need, it doesn’t take much time to find it out. Vouchers should be shorted in a regular manner. Numbers of employees are not sufficient to serve the huge amount of clients, so it should be increased. The Bank should increase the number of depositing product as the customers want new product. A philosophy of working for the customers instead of working for boss must be introduced . Due to IT problems sometimes customers become hopeless and as it is an online banking system. So the IT draw bank should be removed. In interview they may arrange a questionnaire. It can be structured and unstructured. The interview consists two parts. NBL should create an online job server, which provides online application facility. This will ease the hassle of sending hard copy of CV to office. One of the most important resources of an organization is its people. Employees supply the talent, skills, and creativity and exert the effort and leadership that contribute to the level of performance of the organization. Effective use of human resources management leads to a number of consequences like helping the firm to achieve its objectives, increasing employees job satisfaction, providing the firm with well-trained and motivated employees and developing quality of work life which makes employment personally and socially desirable. National Bank Limited has a human resource department and they conduct every activities of human resource management. The main and important part is recruitment and selection of employees. So recruitment and selection plays a vital role in the Human Resources Department. In recruitment and selection, there is a process and the necessary steps are required to follow. Through every steps candidates skill, knowledge, abilities, personal appearance, intelligence, smartness, behaviour, mental and physical fitness everything can be judged. The result of this judgment is to recruitment perfect and eligible personnel. National Bank Limited follows the whole process of recruitment and selection for the post of Probationary Officer. But for the other post they do not follow the overall process. Though there are some positive factors and strengths in their recruitment and selection process but also some negative sight. Biasness is one of the most important negative elements. Here reference creates biasness. Strong reference prefer first because there are lots of internal and external factors those manipulate the business in many ways. For controlling those factors and doing this business they prefer the references. Another thing is they do not follow the whole process for recruiting other posts except the Probationary Officer. In very few cases they take the written test, they only take the interview and viva. But they should take the every step for recruiting every level of employees. Their recruitment and selection process is good if they can follow it properly. If they can able to recruit perfect and eligible employees their output will be better in the market.